Heavy rain and strong winds have been battering the country, causing damage to many buildings. 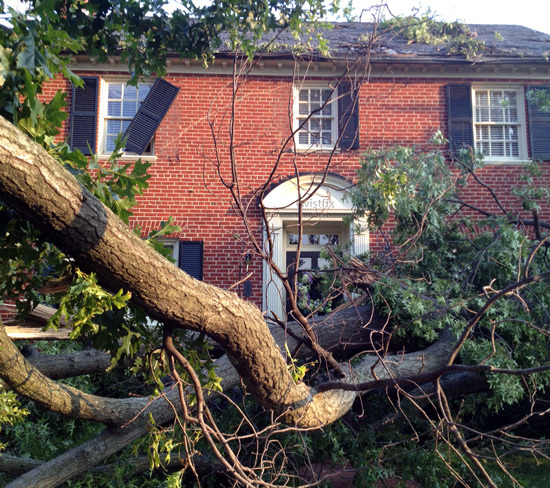 Conditions have been compared to the Great Storm of 1987 when many properties suffered masonry damage and had their roofs damaged by wind and falling trees. In the aftermath, many property owners are seeking contractors to provide masonry repairs and so it is important that professionals working in the field of repair and renovation be fully stocked up on all of the necessary replacement cavity wall ties and brick reinforcement bars; Twistfix are proud suppliers of these goods to a range of professional contractors throughout the UK and Ireland. Remedial cavity wall ties are used extensively in the repairs required after a heavy storm. Twistfix supply a comprehensive range of these essential products, each manufactured to the most rigorous standards and designed and tested to meet all relevant health, safety and quality specifi­cations. 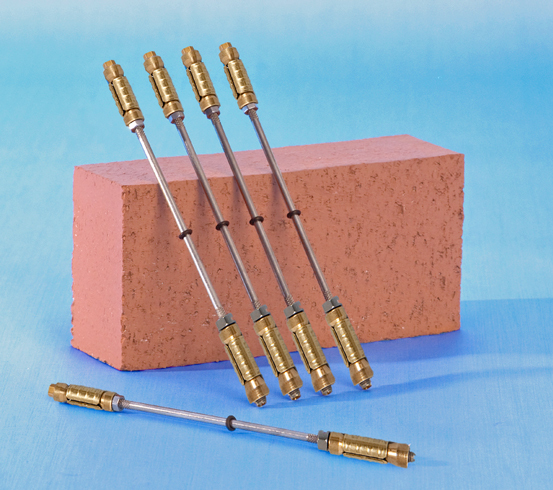 Used to tie masonry walls, Twistfix stainless steel cavity wall ties offer swift and consistent results. Airtwist technology, with an innovative driving confi­gura­tion, allows these cavity wall ties to provide dependable installation for brick-pinning and quickly repairs any cavity wall-tie failure. We also supply mechanical ties, which feature a strong a durable brass expansion sleeve at each end of the integral austenitic stainless steel bar. The sleeve can be forced open with a partially-threaded tall nut which causes it to grip tightly onto a remote masonry leaf. At a dedicated, factory-set torque level, the bar taps the tall nut’s thread, forcing it down to expand the near-leaf and grip the wall. 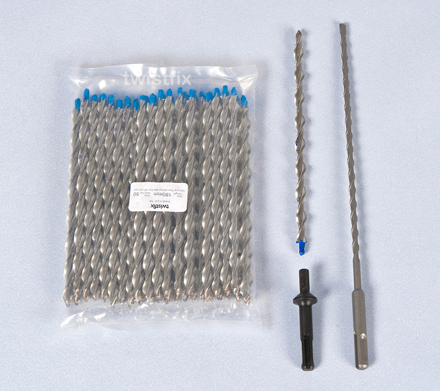 These products form the core of the unique Twistfix Platinum® selection of expanding cavity wall ties. A thermally-efficient wall tie is often required; the Teplo Tie is designed to meet this requirement. Manufactured from a basalt fibre composite, these ties improve a wall’s insulation by removing thermal bridges, increasing energy-efficiency and reducing the emission of carbon dioxide. The U-value of a wall is significantly improved upon installation of Teplo ties, which are the most thermally-efficient replacement cavity tie in the UK. If outer-leaf walls have collapsed and a rebuild is needed then take a look at the Twistfix screw-in wall ties. They are quick and easy to install, requiring no special tools. Simply drill, insert the tie and tighten; leaving the triangle end to be bedded in the new outer leaf as it is built. Screw-in cavity wall ties are a fast and secure way of tying a new wall to an existing one. Please browse the full range of cavity wall ties and brickwork rein­for­cement solutions available from Twistfix and order now to make sure you are stocked up for the multitude of repair work opportunities that have been caused by the current turbulent weather. For more information on Twistfix products, please call 0845 123 6006 or email sales@twistfix.co.uk.